Visit our website if you want to discover the most exciting places and access the most isolated areas of the territory of Quebec among the river With your canoe and paddle. Canada was founded thanks to the canoe. The coureurs des bois and the Amerindians used this type of transportation and lifestyle to access the most isolated areas of this gigantic territory. Most of the team at Club Raft first started off in canoeing and are now explorers themselves. They will help you discover the most unusual and exciting of places. Yes, it's far, but it's all worth it once you finally get to appreciate the beautiful wildlife of this secluded area. In the middle of the vast region of Abitibi-Témiscamingue, the greenery from the pine trees extends as far as the eye can see. The narrow, winding path of Rivière de l'Orignal will take you all the way to the depths of lake Dumoine. 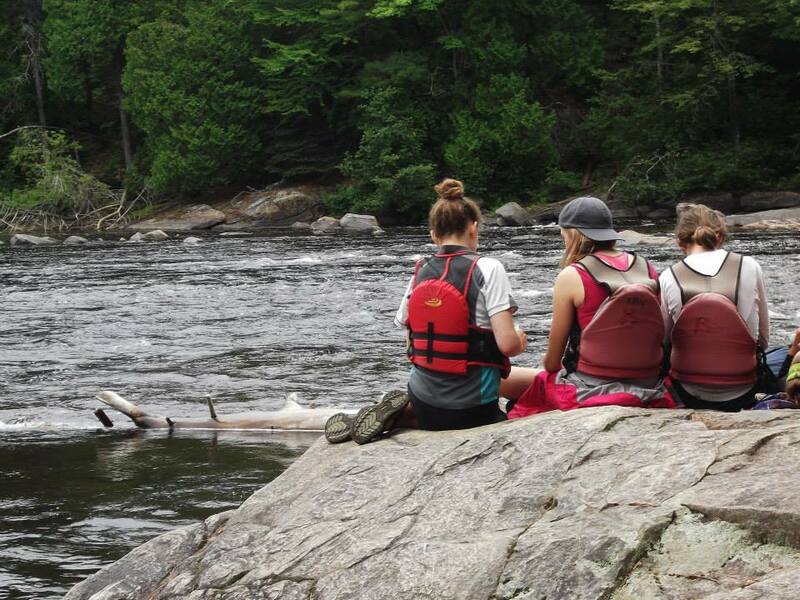 Come discover the immense territory of Quebec as you brave the Dumoine rapids! With the help of your canoe and paddle, you will have the opportunity to travel in the same way as the Amerindians and the coureurs des bois. See if you can find traces or remains from the time of the draveurs among the beautiful site of Alligator Point. Don't forget to bring your map to avoid getting lost! Depending on the season, the rapids are of average difficulty, generally ranking around R2-3. This river is accessible to all canoeists who have at least a minimal experience in whitewater rafting. Length/Distance: 8 days and a half on a river running 135km. Dates: On demand. Minimum 2 people per group. Includes: A qualified guide (RATIO: 1 guide for every 5 participants), displacement from Club Raft headquarters, meals (10 breakfasts, 10 lunches, 10 dinners), canoe, security equipment, paddle, helmet, VFI, waterproof barrels as needed, tent. Not Included: Wetsuit (rental possible), sleeping bag and floor mat (rental possible), personal belongings (camera, snacks, etc...).